Join us at the tenth annual Fezziwig‘s Ball, sure to be the highlight of your holiday season. 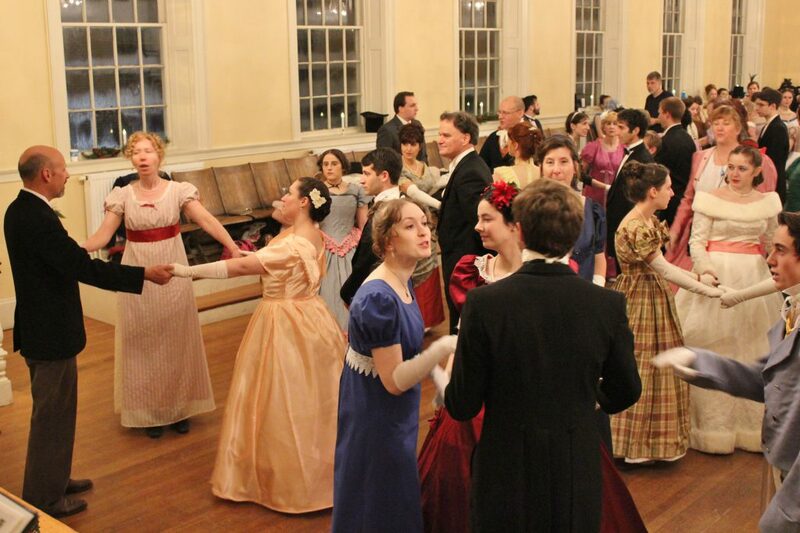 Enjoy an unforgettable evening of dancing and merriment from the era of Charles Dickens. Join a lantern procession and enjoy caroling through the streets of historic Salem. 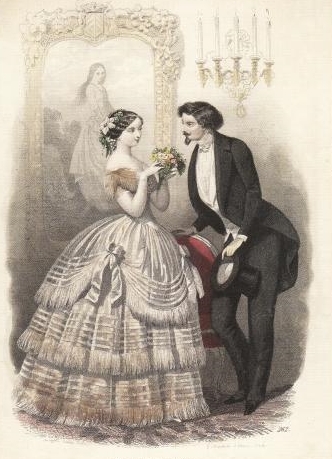 Be Mr. Fezziwig‘s guest for an evening of live music and authentic dances of the mid-nineteenth century. Enjoy a lavish array of Victorian-inspired refreshments. Beginning dancers are welcome, and many dances will be taught throughout the evening. Costumes from the lifetime of Charles Dickens (1812-1872) are encouraged but not required. Modern evening dress is also appropriate. The evening will begin at 6:00 pm with a caroling procession through the streets of historic Salem. We will welcome you back to the hall with steaming cups of spiced cider. We will then have time available for people to change out of their snow boots and into their dancing slippers. Dancing will commence at 7:00 pm. Lavish refreshments will be served at the intermission. The evening’s festivities will conclude at 10:00 pm. Much of the program will consist of set dances which will be taught during the evening by Barbara Pugliese. These will include such Victorian favorites as Pop Goes the Weasel and The Gothic Dance; other easy contra dances and simple quadrilles; and Sir Roger de Coverly, an English version of the Virginia Reel. Interspersed with these will be elegant couple dances such as the waltz and polka. Children who attend should be old enough to follow directions and demonstrate adult manners. Children are included at the student price.